Is it or not white a color? The answer varies depending on the perspective from which we look when decorating with white. From culturally and linguistically perspective already entered our vocabulary to refer to it as a color. Physically, however, by studying the chromatic circle, both white and black are considered non-colors. Simple, elegant and modern interiors brand also, white is the star color. However, can we live in an immaculate white space? White reflects light and is considered a summer color. 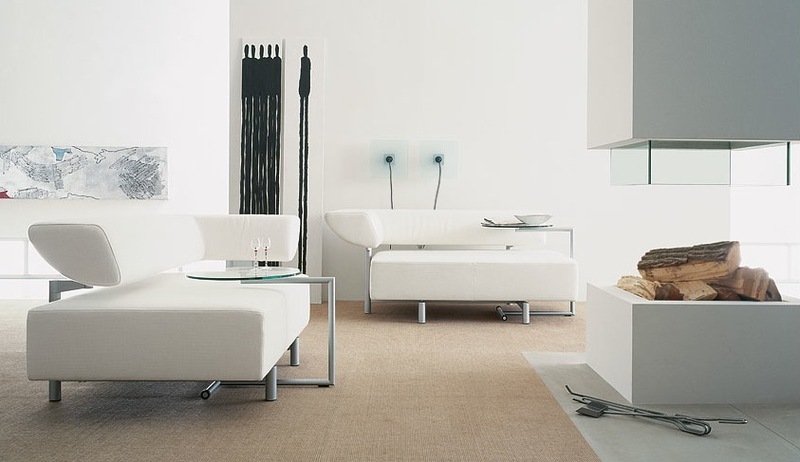 White is preferred by interior designers and the fashion ones because it is open, neutral and fits with everything. 1. A white room can be relaxing and soothing, cool and fresh or romantic and bright: combinations of different shades of white can be very interesting if adjacent textures or styles. Warm shades of white are extremely elegant and creates a sophisticated note, of a relaxing paradise. These tones are best suited on matte surfaces, with precious textures such as leather, silk, velvet. Some purple or gold accents can give a glamorous air to a space with white color theme. A modern version is the off-white super bright, cool tones, shiny. Steel, frosted glass, acrylic, porcelain, polished MDF – these are the ingredients of a trendy interior. Antique white is the third version and includes milky shades, soothing, the perfect setting for relaxation and recovery. The atmosphere created by the use of white this is equivalent classical and furnished interiors reminiscent of Louis XVI style. You can choose one of these three styles or you can combine them. In design, as in life, opposites attract, and the contrast is a safe method for obtaining a spectacular effect. 2. White is a demanding color, gets dirty quickly, it stains and often remain so: however, the effect of a white interior is very chic. Whether you are a fan of minimalism or rather opt for a classic or a vintage style, you can choose your heavy furniture all white. Whether a bed, drawers, shelves, cabinets, dressing or whatever. It is true that you often have to remove dust, but it deserves. Choose slipcovered pieces rather than upholstered because they can be easily washed. 3. 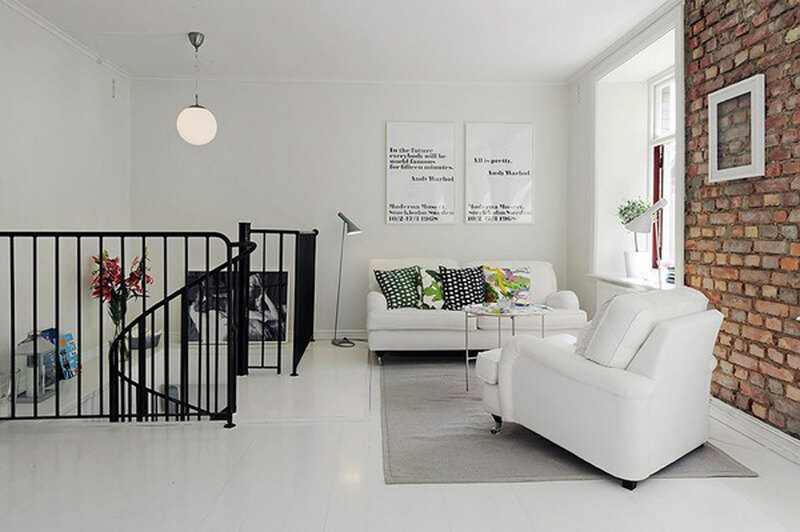 White walls are a very good solution: even if you do not want a completely white look. White increases space visually and by its neutrality, fits with everything. It also makes a small space appear large and airy, perfect for a tight guest room or powder room. 4. Accessories are very important: lamps, dishes, linens and other details of this type can give that touch of class and style to any interior needs with claims. Here you can choose between simple shapes, geometric or classic ones. You must not forget to add some elements still colored, contrasting that to stand out in a pristine white decor. A white-painted space can bring you extra light and style, it is also quite easy to live in such a fairytale land. 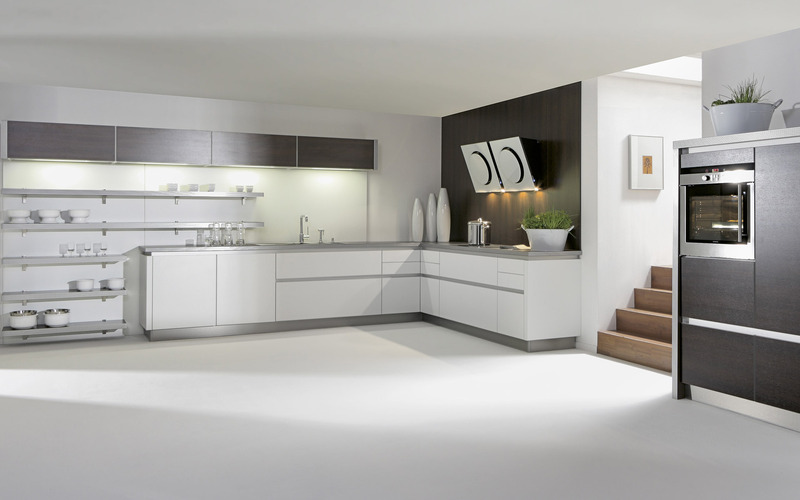 For any style you choose, a white interior is the elegant and supreme refinement.